This is my 10th of 31 reviews of Stephen King adaptations as part of the joint Blogathon that Darren (of Movie Reviews 101) and I are running this month in honor of the great horror writer. Brief Synopsis – After a mystery writer is brutally attacked, she tries to find a way to seek revenge. My Take on it – I really didn’t know what to expect from this movie and was slightly disappointed that it felt like a pretty tame version of Death Wish (1974) or (fill in the blank revenge movie). 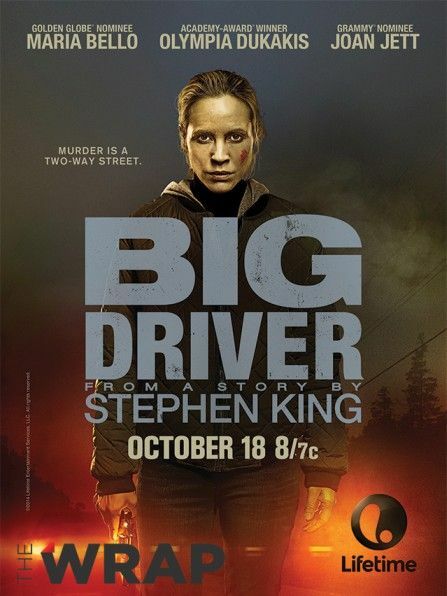 I like Maria Bello as an actress, and she was somewhat convincing as a mystery writer, but despite being traumatized, I can’t say she looked comfortable enough in the role of an avenger despite her character’s arc. The interesting King twist here is the use of her imagination to have conversations and get advice from the fictional characters in her mind and her GPS and I thought they did those parts really well. Once again, this is a movie that hints at the dangers of relying too much on technology and the possible repercussions of doing so. Bottom Line – Wasn’t the biggest fan of this typical feeling revenge flick. It felt like a very tame version of Death Wish. I liked the use of the characters in her mind and of course it says a lot about technology and our reliance on it. They hope that putting Stephen King’s name on it will be enough, but it’s really not. Seems like that. Have u seen this? I don’t know how, but I haven’t even heard of this. I do ha v e to say though as a whole, I’ve found Lifetime movies to be pretty disappointing. Hmm. I haven’t heard of that one either, but it sounds interesting. Oh, I just meant she was in it at all – thought it was cool.